have followed my blog for awhile, you will know I LOVE the dollar store. There are just so many ways you can use things from the dollar store to save money. I am going to start a new series where each week where I will share a post with ways you use items from the dollar store for parties, crafts, home decor and more. I do have a lot of posts that I will be re-sharing, in addition to a lot of new ideas as well. The challenge part will be keeping the budget to $5 or less. As I was going through my old posts, I found I have hundreds of dollar store party ideas. I thought I would share a few my favorites here today. 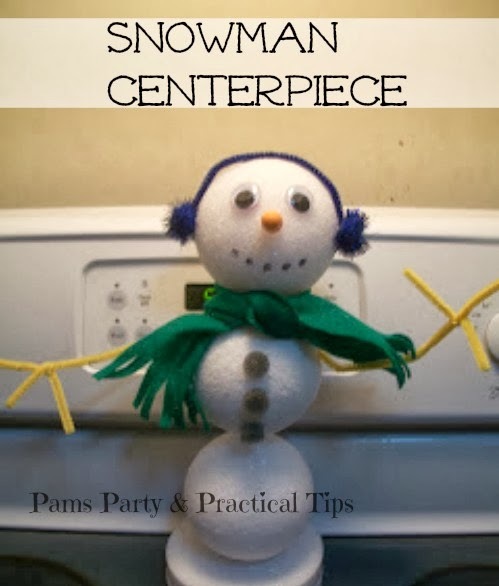 A few years ago I shared a Snowman Themed Snow Day Party that could be thrown together with items you already have at home. One of the crafts I made for the party was this Snowman Centerpiece. I can not remember if the styrofoam balls were sold in sets or individually but all of the supplies were from the dollar store. I made him before the movie Frozen was released, he could be altered slightly to look like Olaf for a Frozen themed party. We have love unicorns in my family way before they were cool. 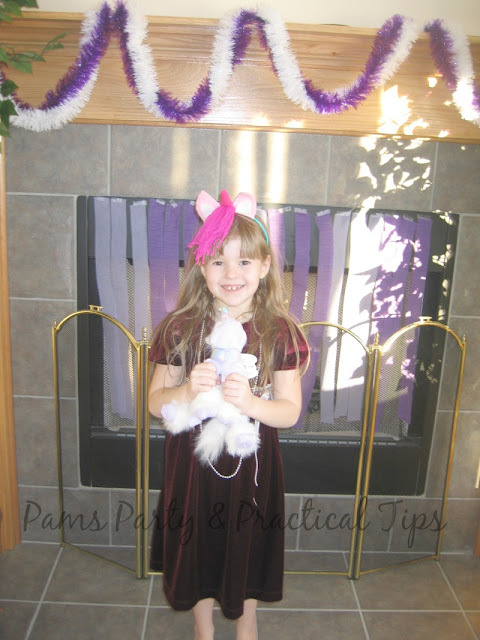 Fourteen years ago, my oldest daughter wanted to have a Purple Unicorn Party for her 7th birthday. She invited all of the girls in her 1st grade class. One of their favorite things of the party were the unicorn headbands we made for the party. I used headbands, yarn and felt. There were multiple headbands in each package making them about 10-15 cents each. They occasionally have yarn at the dollar store. I believe I bought a skein of pink yarn at the craft store for about $2. They have packages of colorful craft foam which would also work for the ears. It cost less than $5 for 15 headbands. 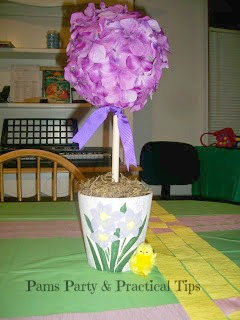 A few years back I threw a Spring Chick Garden Party for a good friend's milestone birthday. I made a couple of Flower Topiaries using mostly dollar store supplies. The floral form, the flowers, the flower pot and ribbon were all found there. The originals were made awhile back, maybe in the spring I will make some new ones with updated supplies. I also made a Cupcake Stand for my friend's party. I used silver platters, 2 candlesticks, and gorilla glue all at the dollar store. What I like about this craft is you can mix and match different colors plates, dishes, and candlesticks to customize your stand. One of my youngest daughter's parties was her Beach Bash Birthday. Her party goody bags were a big hit with her friends. Instead of just giving out plastic bags with candy and small toys, she gave out beach bags with useful summer items. Since everything was bought at the dollar store, each bag came to a total of $5. I have many more dollar store party posts I can share. I hope to make this Dollar Store Challenge a year long project, so I am sure that there will be more opportunities to share them. Do you have a favorite project that you made from the Dollar Store? Share below in the comments.